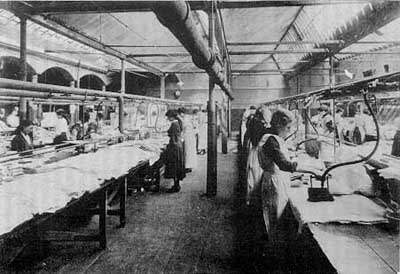 Women working in a shirt factory c. 1920. Cain Web. Service. Women from Donegal County working in Tshirt Factory. Web. For more information on women in the factory industry, check out “The Making of A Minority” by Colm Fox. 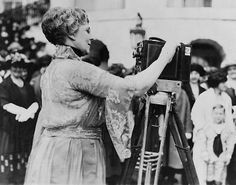 For more information on women in the film industry in the 1920s, the Library of Congress’s American Women Section on Film. Mondadori Portfolio. 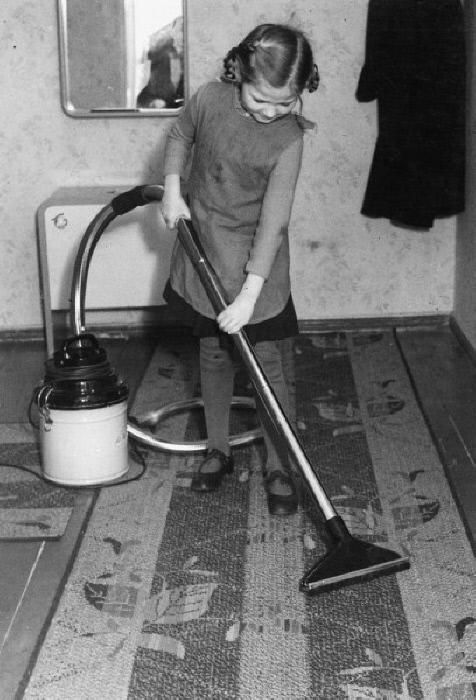 Girl Hoovering c. 1925. Web. 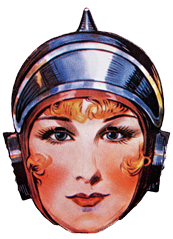 For more information on household appliances in the 1920s, including the vacuum, check out McDougal Little’s history of home appliances webpage. A Woman talks on the telephone in her home, c. 1920. Classicstock. 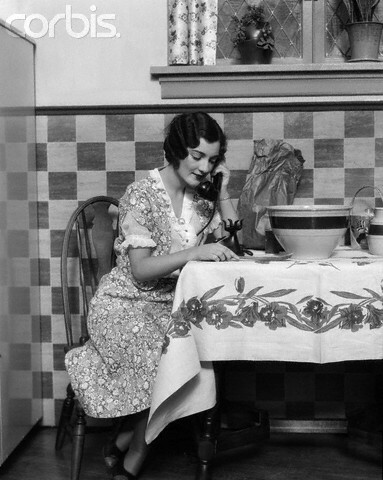 1920s Woman Sitting at Table with Cloth While Smiling on Phone. Web. For additional reading on domestic life in the 1920s see the Women of the 1920s–Social and Domestic Life. Waytt, Ron. Woman and AM radio. Digital image. Ron Wyatt Pictures. Web. 12 Oct. 2014. 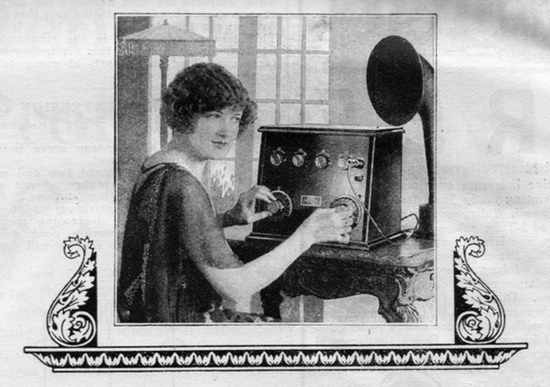 This image shows a women enjoying a battery powered AM radio. For more information on this type of radio see this page. Women exercising on wooden slated treadmills. Digital image. JTX Fitness. Web. 12 Oct. 2014. This image shows two women exercising on wooden slated treadmills. For more information on 1920s exercise equipment see this page.